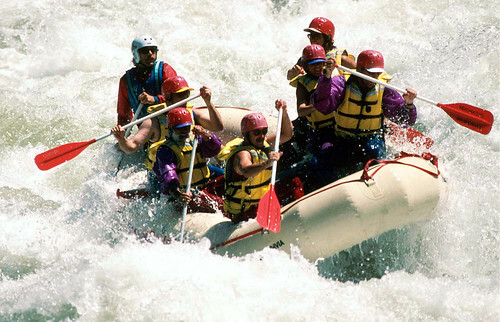 Whitewater rafters enjoy an afternoon ride along the South Fork of the Payette River. Boise Project, ID. Reclamation photo by David Walsh.